Handling your finances can be stressful, but that doesn’t need to be the case! Sunday’s at 9 a.m. on 107.7 the Bronc, Kurtis Baker, CFP®, AIF® will teach you how to Master Your Finances. 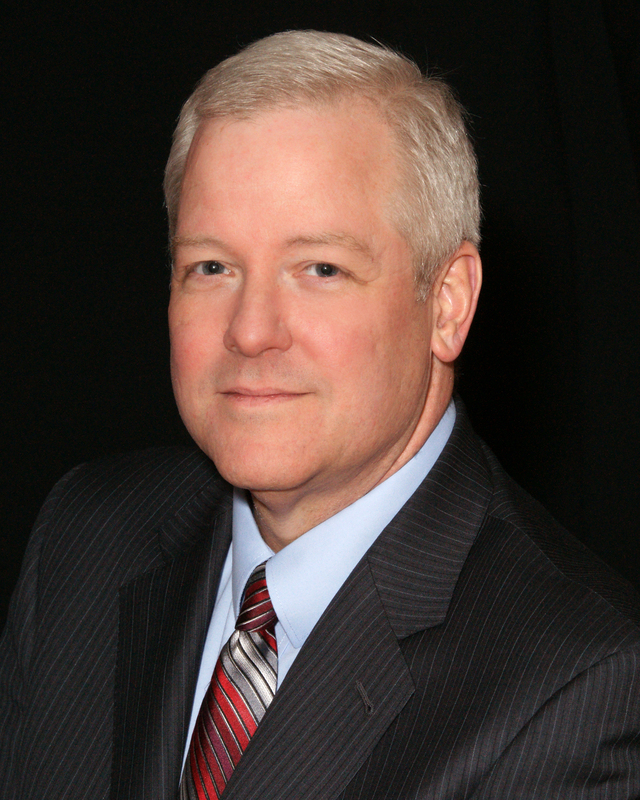 Kurt is a certified financial planner professional with Certified Wealth Management & Investment. Every Sunday morning, Kurt will bring some clarity to the fast-paced and dynamic financial world. Throughout the show Kurt will explain terms and phrases, point out trends, and discuss current government regulations that will have an impact on your personal wealth and financial management, enabling you to make more informed decisions regarding your personal or small business finances the next time you talk to your financial advisor. Subscribe to the podcast here. Master Your Finances is underwritten by Certified Wealth Management & Investment, LLC. Certified Wealth Management & Investment is an independent registered investment advisory service specializing in personal and small business financial planning. (Host) Kurtis Baker is a Certified Financial Planner™ and an Accredited Investment Fiduciary™ professional with Certified Wealth Management & Investment, LLC an independent Registered Investment Advisory firm. He is a graduate of the United States Merchant Marine Academy with a BS in Marine Engineering. He has been in the financial services industry since 1983 with extensive experience in financial planning, insurance & mortgages. He focuses his practice on comprehensive financial planning for families and business owners. (Producer) Theresa Evans is a communication studies and English major with a concentration in writing who is excited to graduate in 2019. She enjoys writing and being a news editor for The Rider News. A concert enthusiast, she attends as many shows as possible throughout the year (on a college budget of course). 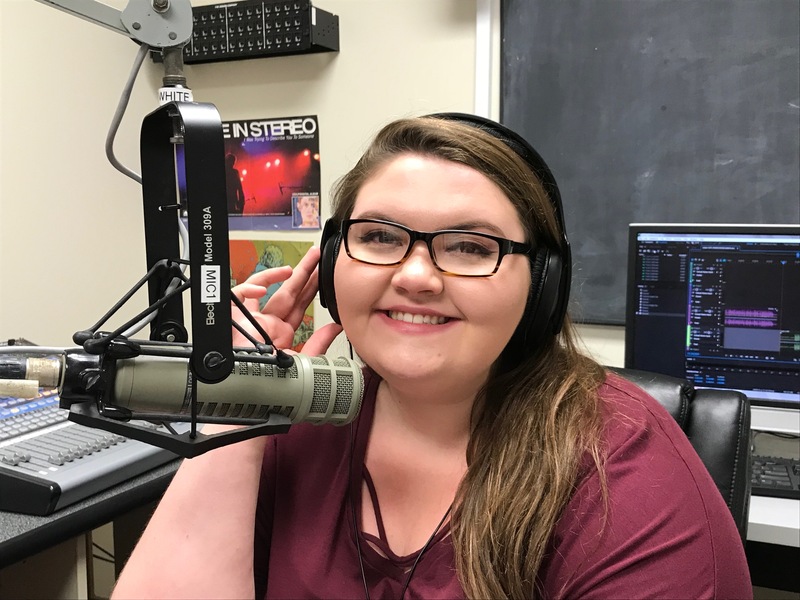 She is a newbie at 107.7 The Bronc, learning the ropes of the radio world. She has no specific talents unless you count winning Harry Potter trivia as one. Kurt Baker met with David Neufeld. Kurt Baker met with Gail Rose, President of Ananta Creative Group in Princeton New Jersey. Kurt Baker met with David Caramanico, Vice President of Sales Management of C. Caramanico & Sons Inc.
Kurt Baker met with TJ Pingitore, CEO and Host of Student Success U. Resume Revamp! Our host, Kurtis Baker, is joined by Keith Willis, of CoachtoAchieve, who shares some tips on how to strengthen your resume and other job hunting tips! Story Time! Our host, Kurtis Baker, is joined by Steve Besserman, Chief Storyteller of AriJoe Productions, who discusses how he got into creating documentaries and his parents story as Holocaust survivors! Living with Dignity! Our host, Kurtis Baker, is joined by Barbara Forshner of Artis Senior Living in Princeton, who discusses how to prepare for the transition to assisted living! Planning Ahead! Our host, Kurtis Baker, discusses things to keep in mind when planning to purchase your first home! Employers in the Know! Our host, Kurtis Baker, is joined by Wayne Pinkstone of Fox Rothschild, who discusses legal tips for employers in New Jersey! IT Tips! Our host, Kurtis Baker, is joined by Darek Hahn, president and CEO of VelocIT, who discusses the past, present, and future of IT. Energy Efficiency! Our host, Kurtis Baker, is joined by Michael Oster, co-founder of Eos Energy Storage, and Rider Student, Kristen Castronuovo for a great show! Retirement Prep! Our host, Kurtis Baker, discusses planning for your future and things to watch out for this tax season! International Tips! Our host, Kurtis Baker, is joined by Kimberlee Phelan of Withum, who discusses international provisions of the Tax Cut and Jobs Act of 2017 and more! Mortgage Madness! Our host, Kurtis Baker, discusses real estate tips you should know no matter what type of property you own! Tax Tips! Our host, Kurtis Baker, is joined by Izzy Ruiz, an accountant and financial consultant, who speaks about what you should know when it comes to taxes! Quick Tips! Our host, Kurtis Baker, offers tips including uses for your business card and more! Environmental Tips! Our host, Kurtis Baker, is joined by Paul Rotondi, an environmental professional, who speaks about the impacts of environmental contamination on development and redevelopment and the cost of cleaning up a property! Save Your Brand! Our host, Kurtis Baker, discusses financial tips, keeping your brand up to date, and the current government shutdown! Batter Up! Our host, Kurtis Baker, is joined by Jeff Hurley, Chief Operating Officer and General Manager of Trenton Thunder Baseball Club. Find out about the business side of baseball! Donation Motivation! Our host, Kurtis Baker, is joined by Michael McShane, Senior Director, Development, Marketing & Donor Resources, of Miller-Keystone Blood Center. Find out why you should donate blood! New Year, New Financial Tips! Our host, Kurtis Baker, discusses financial tips for the new year! Capital Car Wash! Our host, Kurtis Baker, is joined by Scott Serverah, owner of Capital Car Wash, to discuss the car wash industry, how it is affected by the economy, and the means of running a business! Communicate! Our host, Kurtis Baker, is joined by Margaret Van Dagens of J&M Marketing Communications! Security Setup! Our host, Kurtis Baker, discusses security precautions for your business and more! Cyber Chat! Our host, Kurtis Baker, discusses Cyber Monday, giving back, and more! Budgeting Tips! Our host, Kurtis Baker, discusses estate planning, college expenses, holiday budgets, and more! Midterm Madness! – Our host, Kurtis Baker, discusses the midterm elections and why you shouldn’t panic about political outcomes! November Replay! – Our host, Kurtis Baker, is joined by Vincent Leonti of Princeton Integrative Health! Health Tips! – Our host, Kurtis Baker, is joined by Vincent Leonti of Princeton Integrative Health! Baby Boomers! – Our host, Kurtis Baker, is joined by Barbara Forshner, Director of Community Relations at Artis Senior Living, and Olivia Oliphant, Director of Community Education and Outreach at Foothill Acres join us! Find out the big news Barbara has in store for us and how to care for the baby boomer generation! Family of Innovation! – Our host, Kurtis Baker, is joined by Joe, Lora, Joey, and Heidi Hudicka, founders of Fizzee Labs, to discuss app-making, fashion design, entrepreneurship, and more! Medicaid Myths and Mayhem! – September 23rd 2018 – Our host, Kurtis Baker is joined by Attorney Carl Archer of Archer Law Offices, LLC! Find out about elder law, Medicaid, and more! Employee Benefits! – July 29th 2018 – Our host, Kurtis Baker, is joined by Jim Bell of Abel HR! Find out about the benefits of working with a PEO! Bank Benefits! – July 15th 2018 – Our host, Kurtis Baker, is joined by Patrick Liam Ryan, President and CEO of First Bank. Find out about the benefits and risks of community banking! Labor Laws! – July 8th 2018 – Our host, Kurtis Baker, is joined by Labor and Employment Attorney Jennifer Meyer-Mahoney. Find out how to navigate through difficult situations businesses may find themselves in! Kid Geniuses! – July 1st 2018 – Our host, Kurtis Baker, is joined by Joe, Lora, Joey, and Heidi Hudicka, founders of Fizzee Labs. Find out about app-making, fashion design, entrepreneurship, and more! It’s Cool! – June 24th 2018 – Our host, Kurtis Baker, is joined by Scott Needham, President of Princeton Air Conditioning, Inc! Find out how to ensure your company’s future sticks to its founding morals and more! Fatherly Advice! – June 17th 2018 – Our host, Kurtis Baker, is joined by his father Silas (Sy) Baker! Find out what his fatherly advice to Kurt is! Washington Day! – June 10th 2018 – Our host, Kurtis Baker is joined by General George Washington! Find out about the values of his historical life! Dough-Main! – June 3rd 2018 – Our host, Kurtis Baker is joined by Rob Church, Ken Damato, and Sandy Quirinale of DoughMain Foundation! Find out about financial literacy in education! In The Law! – May 27th 2018 – Our Host, Kurtis Baker, is joined by Wayne Pinkstone of Fox Rothschild! Find out about issues in the law from 2017 to compare to last week’s episode! Legal Lingo! – May 20th 2018 – Our Host, Kurtis Baker, is joined by Wayne Pinkstone of Fox Rothschild! Find out about changes in the law under the Trump Administration! Realtor Ready! – May 13th 2018 – Our host, Kurtis Baker, is joined by Richard Burke of Berkshire Hathaway Home Services Fox & Roach Realtors! Find out more about real estate now! I’ll Mind My Business! – May 6th 2018 – Our host, Kurtis Baker, is joined by Kevin Wortham of Minding Our Business! Find out how you can help our youth and how to become an entraprenuer! Expand The Brand! – April 29th 2018 – Our host, Kurtis Baker, is joined by James Bartolomei of HBK! Find out how to expand your small business now! I’ll Claim That! – April 22nd 2018 – Our host, Kurtis Baker, is joined by Robert Bratman of Stark & Stark! Find out how to handle personal injury claims now! Health Insurance for All! – April 15th 2018 – Our host, Kurtis Baker, is joined by Amanda Reese of Hafetz and Associates! Find out your best post-retirment options for health insurance! Where’s The Brand? – April 8th 2018 – Our host, Kurtis Baker, is joined by Tom McManimon, President of Stimulus Brand headquartered in Ewing, NJ! Find out how you can make a brand for your small business! Technically Speaking! – March 25th, 2018- Our host, Kurtis Baker, is joined by Darek Hahn, President and CEO of Dynamic Strategies! Learn how you can incorporate IT into your small business and be ahead of the technological curve! Treating Your Elders Right! – March 11th, 2018- Our host, Kurtis Baker, is joined by Keith Hovey Esq., Elder Care Attorney with Szaferman, Lakind, Blumstein and Blader! As your loved one goes to a nursing home, we need to make sure they are treated right. Know the tell tale signs of neglect and how to save your loved one from abuse. Memory Care For You! – March 4th, 2018- Our host, Kurtis Baker, is joined again by Barbara Forshner, Director of Community Relations at Artis Senior Living, and Olivia Oliphant, Director of Community Education and Outreach at Foothill Acres! Find out the big news Barbara has in store for us, and the recommended way of care for the baby boomer generation! What the Tax? – February 25th, 2018- Our host, Kurtis Baker, is joined by Kimberlee Phelan, CPA, MBA, CGMA, tax partner with Withum Smith And Brown! Get prepared with the new changes with your taxes according to the Tax Cut and Jobs Act of 2017! Estate of Summerseat! – February 18th, 2018- Our host, Kurtis Baker, is joined by Andrew Thomspon, former President of the Historic Morrisville Society, Sharon Hughes, the current President of the Historic Morrisville Society, and General Washington! Take this President’s Day Weekend learning the stories of the Historic Summerseat Mansion! Vacation’s a Trip Away! – February 11th, 2018- Our host, Kurtis Baker, is joined by Caryn Berla, Travel Advisor for Cruise Planners. Pick up on the recent trends in commercial vacations this year and how you can get prepared for your own personal vacation!